(2) The basic Diploma Programme has an open access policy where there is no minimum requirement for entry. (3) Entry to the full IB DP is selective. (5) Severe physical disabilities (ie. wheel chair, CP, MS, etc. ): "Often beyond the scope of the school facilities"
(6) Severe behavioral difficulties (ie. those that disturb others’ learning): "Often beyond the scope of the school facilities"
•	SEN place numbers are limited to a maximum intake per year to protect the balance/mix of the school and some parents may not achieve a place for their child. 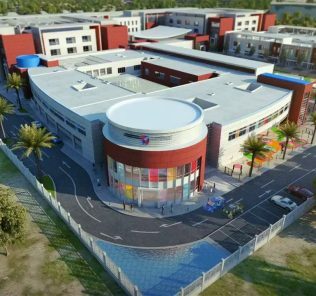 •	Ground breaking, HAPPY school, for parents seeking the pinnacle of schooling available in the UAE without pretension or arrogance. Children come first. •	The launch of the IB CP addresses in full KHDA concerns at the stretch of the IB DP for many children - and we do not discount the school achieving Outstanding school status in the short term following its introduction. • The school - its leadership, parents, teachers and students should feel VERY proud of what they have achieved. 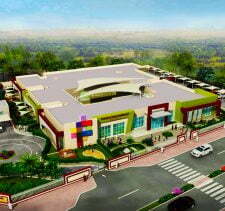 GEMS World Academy – Dubai (GWA) is a PreK to Grade 12 International Baccalaureate Organization (IBO) accredited school. GWA offers an all-through IB education from the Primary Years Program [PYP], through Middle Years Program [MYP] to the full Diploma Program [DP] for students aged between 3 and 18 years. Impressively the school now also offers the alternative International Baccalaureate Career-related Programme (IB CP) (2017-2018 academic year). 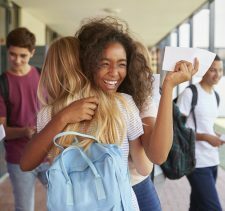 This is an extremely welcome development and something that we believe is a critical element of IB post-16 schooling in order that schools can meet the broadest needs, potential and ambition of its children. Some 93 nationalities are represented within the school, making it one of the most demographically diverse and truly international schools in the emirate – which perhaps befits its IB curriculum. No single nationality represents more than 10% of the 2,000 or so students at the school with children from the US, India and the UK represented most significantly. There is a truly International demographic – and one celebrated by the school in the multitude of flags grouped in the Lobby Area on entering the school. 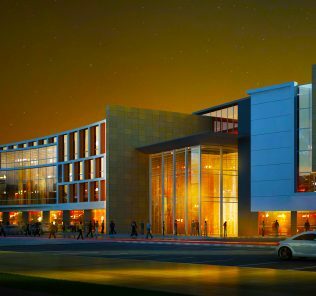 The school is located on Al Khail Road in the Al Barsha South area of Dubai, particularly accessible to the Meadows, Springs, Lakes and Arabian Ranches developments. Facilities are premium-plus include a 400m rubberized athletics track; tennis courts; 50m Olympic-sized swimming pool; smaller training pool; (impressive) 600+-seat auditorium; green-screen room for film making; recording studios for music production; separate libraries by phase; Digital Classrooms; wi-fi campus; laptop and IPad trolleys; extensive provision of very high quality labs across individual sciences and technology areas including physics, chemistry, biology, robotics and materials; dedicated KG indoor and outdoor play areas and free-flow areas; 3 fabulous roof-top tennis courts; multi-purpose sports hall including a competition-standard basketball court (which also provides for volleyball, netball and badminton provision); dedicated Junior gymnasium, Parents’ Cafe; Fitness Centre; a Rock Climbing Wall (the largest fibre glass wall in the UAE; astroturf sports fields for rugby, football, baseball and rounders; “Symphony” Performing Arts Centre; Peace Garden; purpose built Digital Design and Technology block with 2 large computer rooms and 2 large workshops with 3D printer and laser cutters; Peace Garden; and, extraordinary 3D Planetarium (“the most technologically advanced Planetarium in the UAE.”). If you were to design a school around an ideal, dream list of facilities GWA would probably top many parents’ (and children’s) list of the perfect school. We liked too the cluster of facilities across main school phases. Elementary children have their own (vast) library (clearly well thought out and, with a much softer feel than its main counterpart, inspirational for its targeted younger age group) and dedicated KG Play Area; Music Suite, (very well equipped) Music Technology room (Garage Band software), Green Screen room for Media studies, recording studio, Film editing Suite and Sports facilities ranging from a Skate Park to the spectrum of ball courts. The Secondary School provides more Music rooms, a Black Box Theatre (a hub for Secondary drama); a “Writing Centre” (a dedicated space both for students to improve their writing skills and to independently study in peace. The Centre also provides the hub for “Peer Tutoring” for Grade 6 students by older students across the spectrum of subjects); 7 Science Labs and a Science Prep room. 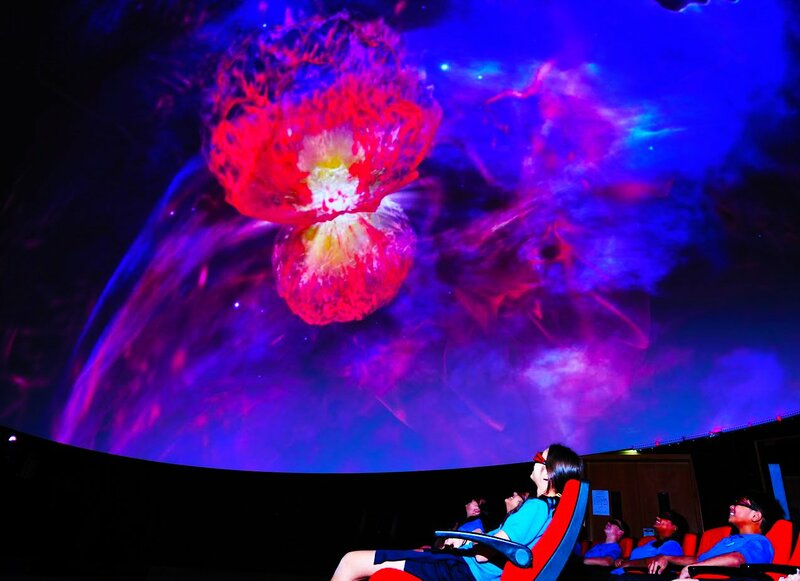 The science labs included rigging on the ceiling which can be lowered as required to provide gas / electricity connections (the first time we have seen such an innovative solution), a Main (very vast) Library with independent study areas and 3 Secondary Art Rooms – as well as the landmark 70-seat 2/3 D Planetarium. Plans are in place (2017-2018) to create a new Lounge block for the Diploma students in the area of the rooftop Peace Garden. Extra-curricular activity [ECA] (“After School Activities” (ASA))provision is Tier 1 with clubs offering almost every imaginable activity from robotics to drama and an eco club, together with a partnership with ASM Academies and Academies Plus for after school sports development. ECAs are integrated into and given meaning in school life: we witnessed a number of recycling and sustainability initiatives on our visit including the trading of old t-shirts for house points. 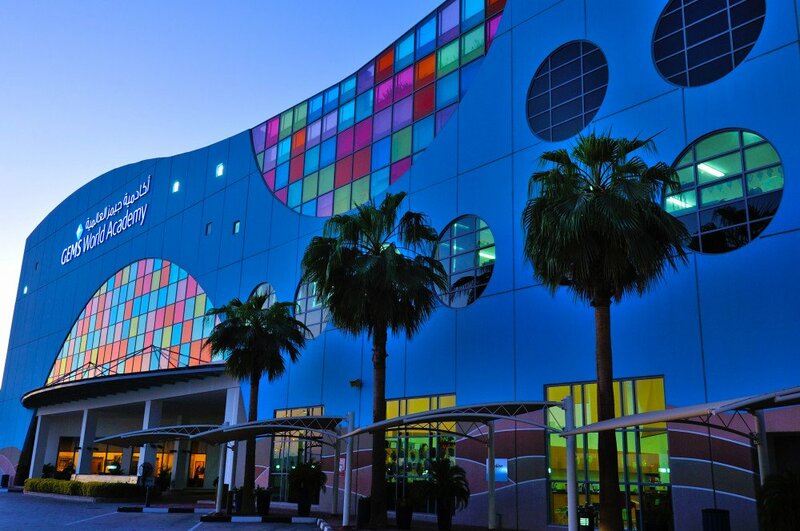 GEMS World Academy – Dubai (GWAD) has received the KHDA inspection rating of “Good” for seven consecutive years. It is a uniformly “Outstanding” school across both Pre-K and Primary provision. 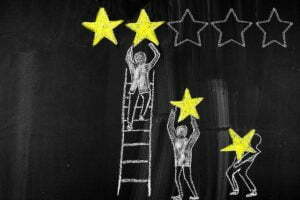 High school provision falters comparatively in achieving a “Good” rating, mainly because of curriculum design and the exceptional academic demands of the IB curriculum. The school has introduced extra, less academic options into the Diploma programme including Theatre Studies, to better respond to the different talents and abilities of students, but, to some degree, GWAD has its hands tied behind its back because the IB Diploma caters less well to mixed and lower ability children, and particularly those with Special Educational Needs [SEN] or English and an Additional Language [EAL]. 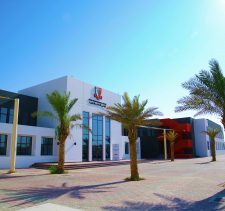 The school does offer graduation, as above, in the CIS GWA-Dubai High School Diploma for the majority of its students, meeting the qualification needs of its generally inclusive intake. GWAD is rolling out improvements to its self-assessment processes in order to better identify student needs and, accordingly, responses to the learning needs of mixed ability at lower attainment students at Middle School and Diploma phases. It is hoped, notwithstanding the academic stresses of the Diploma Programme, that these will result in GWAD being better able to help older students meet higher levels of attainment. The launch of the IB CP is a very important part of this process because it will give the school and its students clear alternative options at age 16 according to their individual gifts, potential and aspirations. The demands of the IB programme, when it is offered without the IB CP, do represent a major hurdle for all inclusive-intake schools. It should be noted by prospective parents with girls that, rarely, the KHDA draws attention to the excellent curriculum modification work developed by GWAD for young women, particularly in Science subjects. Attainment across Arabic core area subjects is acceptable. Whilst there is some capacity to improve, the reality is that all US and UK schools with majorities for whom Arabic is an Additional Language [AAL] struggle with this area of the curriculum, notwithstanding significant commitment and investment by both schools and pupils. This said, attainment by Arabic children in both Islamic Studies and Native Arabic is weak relative the best performing schools in the sector in the MYP and DP Phases. With the introduction of the IB CP the school is now better placed to support children across the academic spectrum. Whilst demanding, the IB CP significantly lowers the demands of the second language integral to the Diploma and introduces technical/vocational course content. Our research demonstrates that the IB CP is perceived with equivalent prestige to the Diploma and certainly provides a powerful route into top tier universities worldwide. More on the International Baccalaureate Career related Programme at GEMS World Academy can be found below. Parents should note that currently the programme can only be underpinned by BTEC Level 3 Business and we think the school should be more ambitious in extending options to Sports and Tourism. The benchmark for us here is the British School Al Khubairat which, in a British school curriculum context, offers BTEC Engineering. Published results, from 2014, show that of the 58 students registered, 50 took the full diploma, and 33 passed (66%) with an average score of 30 points (average 4.81). The highest points awarded to a single candidate were 40. Published results, from 2015, show 83.1% of students sitting for the full IB Diploma passed with an average score of 32 points (average 5.07). The highest points awarded to a single candidate were 41 (achieved by 3 students). Published results, from 2016, show that of the 90 students registered, 80 took the full diploma. Roughly translated that is around 90% of students sit for the full International Baccalaureate Diploma. 70 children taking the IB DP achieved a pass – close to a 90% success rate. The average score achieved was 31.4 points (average 4.98). The highest points awarded to a single candidate were 44.
International Baccalaureate Results for 2017-18 were equally exceptional given the inclusive intake. As GWAD makes clear, this is not a selective school and (these excellent) results must be read in this context. Prospective parents should also note, as above, the alternative awarding of the CIS backed GWA-Dubai High School Diploma. With the launch of the IB Career-related Programme in 2017-18, as an alternative to the Diploma, we believe that the school now has an outstanding options base for all children entering post-16 education. We would expect a very significantly improved percentage of students graduating GWA with a Tier 1 IB qualification rather than isolated IB courses or, as was the case historically, a US High School Diploma. Today this is a school that focuses on the IB Diploma and Career-related Programme to ensure subject breadth and choice. One really interesting feature of the school which stood out for us on our visit is the unusual integration of younger phases within school life. This follows in part from the evolution of the school design which is focused around two interconnected buildings. The Phase A Building opened in 2008 with classrooms from PreK to Grade 5 and includes the libraries, Planetarium, all-through Art classrooms, Auditorium, Cafeteria and Music Department. The addition of the Secondary school in 2012, which hosts classrooms for students between Grades 6 and 12, also houses KG2, and offers an extended cluster of facilities. Both buildings offer facilities used by all years, rather than the usual separation of Early Years schooling standard elsewhere in the sector. There is a clear and intentional overlap of facilities between phases – in many areas the KG children use facilities within the other buildings (including the Library and Music Centres). Whilst unusual to have such a fluid lack of separation between phases, it does, we believe, work well – the younger children bring their own energy and vibrancy to the school and contribute to a genuine sense of family. We should note that the school has asked us to reflect in our review its significant successes at Middle and Diploma phases. This is the area, above any other, that downgrades the school for the KHDA from its Outstanding achievements at Elementary phases and explains why the school does not secure Outstanding school status at later phases. The issue is, as above, that the school currently does not provide enough choice for students of different abilities at Middle and Diploma phases. As its stands, the school offers the world’s most academic programmes for a mixed ability intake. This is why the decision to offer the alternative International Baccalaureate Career-related programme from 2017-8 comes not a moment too soon. There is also no doubt that the school’s invests significantly in the broader whole child, including commitment, for example, to developing student leadership skills through its positive rewards system and student leadership programme. Students can apply for over 200 leadership positions which exist through a number of different strands ranging from appointment of both a male and female President and Vice-President, House Captains, Peer Mentors, Link Leaders, House Ambassadors and Grade Ambassadors. GWA also invests very heavily in guidance for children in moving from the school to either industry or graduate study with 5 dedicated faculty at Secondary phase. Bottom line? This is a school where children have opportunities to explore the whole gamut of experiences with the aim that individual curiosity and talent, whether drawn from academic disciplines, or the Performing Arts, whether from sporting disciplines or the fine arts, are met with answers and the means to develop the gifts of each child. The over-riding purpose of the school is to empower the development of the whole child. Telling for us was the decision by the school’s leadership to highlight in the annual prospectus praise from a parent for the school’s creating happy children who want to go to school. On this note GWAD was the winner of the WhichSchoolAdvisor.com Happiest School in the UAE award in 2013-14. 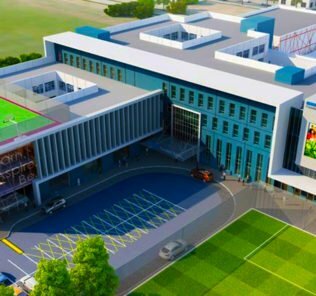 For parents who can afford the fees, and for whom a happy, inclusive education for their children is the priority – where an education that balances academic and non-academic provision rather than push the metrics that come with selection and hot house pressures is the standard – GEMS World Academy – Dubai, delivers, and in spades. With GWA introduction of the IB CP the school now has almost everything in place to secure KHDA Outstanding school status. Now we just need bursaries to complete the picture… The future is looking very bright for an absolutely extraordinary school.